Although simple to use and compact, the Miranda Kaleido-Alto-HD offers all the features you would expect on the largest multi-viewer. 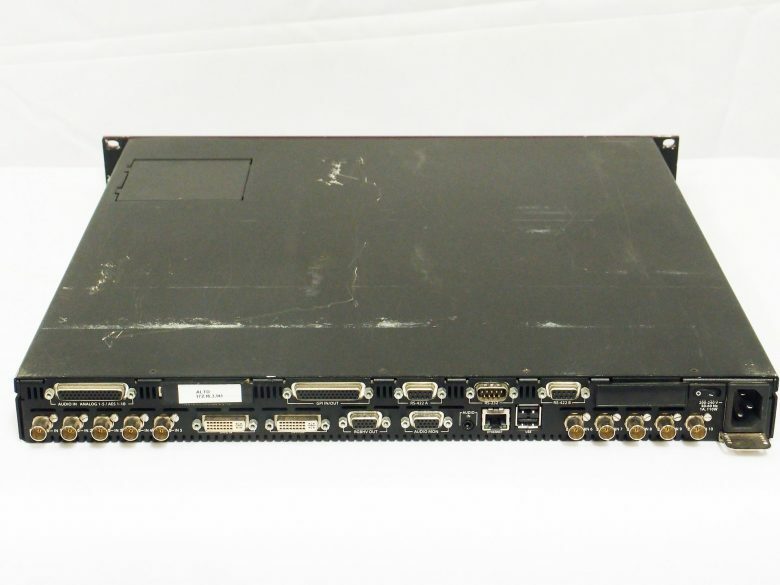 This highly affordable processor features 10 auto-sensing HD-SDI, SDI, and analog composite video inputs, along with a a high quality DVI output with up to 1920 x 1200 pixels. Embedded, AES and Analog audio level metering, along with source IDs, tallys, aspect ratio markers, and clocks/timers. The processor offers easy off-line layout editing with a full choice of window resolutions, sizes, positions and ratio (4:3 and 16:9). Up to three of the HD/SD/Analog processors can be cascaded to allow the display of up to 30 video windows on a single monitor. Kaleido-Alto-HD’s advanced processing delivers excellent image quality; each video input is equipped with a high performance de-interlacing and scaling engine to ensure high quality monitoring without artifacts. The output can be set to the native resolution of the display, up to 1920 x 1200 resolution, and each image can be scaled up to full screen, and down to a fraction of its original size. For effective operations in master control, the Kaleido-Alto-HD offers advanced video and audio probing, including signal black, freeze and luminance too high, audio presence, overload, mono and out of phase alarms. Multiple 24 or 12 hour clocks can be displayed with programmable offsets and configurable colors. The clocks can be synchronized with Time Code input using the Miranda Little-Red LTC Reader to RS-232 option. Addressable count up/down timers can also be displayed, with control by a mouse or via GPI inputs. An LTC display provides accurate display of frame digits. Embedded audio can be de-multiplexed from an SDI signal to provide four stereo peak meters displayed on-screen. In addition, optional input mezzanines allow the display of 10 AES/EBU audio, or 10 analog stereo meters. Any pair can be selected to the AES or Analog Stereo monitoring output. Source IDs can be updated dynamically from a TSL, Andromeda or Image Video UMD controller. K-Edit software is supplied with the Kaleido-Alto-HD, and allows off-line creation of layouts. This drag and drop interface allows any video, audio, texts, alarms, Time Code and clock elements to be positioned freely inside the pages. The editor includes alignment tools, grids and a group of components that facilitate workflow. Layouts can be designed for any type of display of any aspect ratio. Layouts can be saved inside the Kaleido-Alto-HD as presets and recalled at any time. 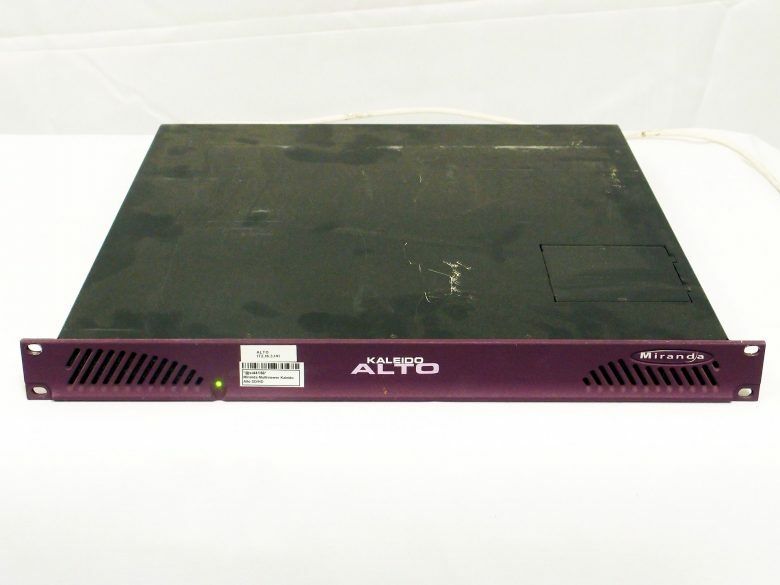 Kaleido-Alto-HD allows multi-user access via a TCP-IP network for layout editing. System configuration can be performed with Kaleido’s on-screen mouse control and a keyboard. An optional Kaleido-RCP enables faster recalling of layouts, selection of a window full screen, or the selection of an audio pair to the monitoring output. A single remote panel can control multiple Kaleido-Alto-HD and Kaleido-Quad-Dual systems.